Charles de Gaulle (22 November 1890 – 9 November 1970) was a French general and statesman who acted as leader of the Free French during the Second World War. 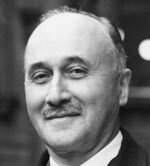 One of the most influential French politicians of the Twentieth Century, he helped found the Fifth Republic in 1958 and served as its first President from 1959 to 1969. He was a right-wing conservative and a keen French Nationalist. His brand of right-wing conservatism is branded Gaullism. Charles de Gaulle was born in Lille (Flanders) in 1890. His family was devout Roman Catholic and conservative. This brand of nationalism and conservative Catholicism influenced De Gaulle’s politics throughout his life. 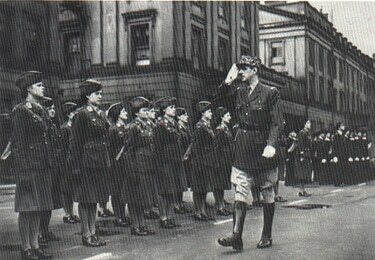 De Gaulle, studied in Paris and joined the military academy of St. Cyr. In 1913, he joined an infantry regiment commanded by Petain. During the First World War, De Gaulle was wounded on two occasions and was involved in the heavy fighting around Verdun. It was at Verdun, in 1916, that de Gaulle was captured by the Germans and spent the remainder of the war as a Prisoner of war – despite his repeated attempts to escape. However, during the German invasion of France in 1940, De Gaulle was given command of a tank unit. At Caumont on the 28th May 1940, his unit provided one of the few occasions where the German advance was stalled and briefly pushed back. However, lacking air support and overwhelmed by the superior German armed divisions, French fell into a humiliating retreat. 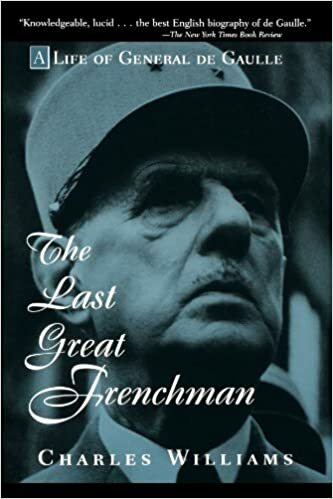 During the crisis, De Gaulle was briefly made Minister of War by French Prime Minister Paul Reynaud, But, after just six weeks of fighting, many French politicians, led by Petain, wanted to seek an armistice with the Germans. This led to the creation of Vichy France. 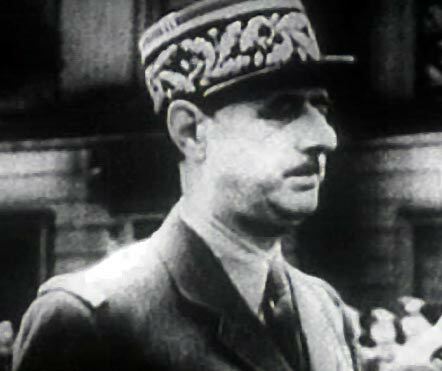 General Charles de Gaulle was the most senior army officer to reject the armistice – seeing it as a betrayal of France. He said in a proclamation, 18 June 1940. Under threat of arrest, he escaped to Britain where he became the leader and symbol of the Free French who opposed the German occupation. Despite divisions within the French resistance (especially with the Communist party), De Gaulle was able to unify the resistance movement in 1943, which maintained an uneasy truce until liberation in 1944. In 1943, De Gaulle moved to Algeria where he formed the provisional government of France. This presumption of forming a government annoyed the allies and the French were excluded from the D-Day operations. However, during the liberation of Paris, a small French unit was allowed to lead the drive onto the capital, helping to restore French pride in being part of France’s liberation. After much persuasion, at the last minute, France was allowed to be one of the four major powers in the post-war reconstruction of Europe. In November 1945, De Gaulle was unanimously elected the first leader of the new French government. He held this post until his resignation in 1946. After his resignation, he formed his own political party the Rally of the French People (RFP) but it never attained electoral success and De Gaulle retired from politics. However, during the Algerian crisis of 1958, De Gaulle was recalled to power. He was elected President and helped found the new constitution of the Fifth French Republic. Despite being a strong nationalist, he agreed to give Algeria independence. This was seen as a betrayal by many in the military who had supported De Gaulle and were committed to defending Algeria. This led to numerous attempts on his life, though non were successful. Back in power, De Gaulle wished to pursue an independent foreign policy, not aligned to either the US or UK. He took France out of NATO, created their own atomic bomb and twice vetoed British entry into the European Economic Community. The last years of his presidency were ones of great turmoil. Massive student protests and riots left the country de-stabilised and in April 1969, he left office. He died shortly after on the 9th November 1969. Citation: Pettinger, Tejvan. “Biography of Charles de Gaulle”, Oxford, www.biographyonline.net Published 12th June. 2012. Last updated 8 February 2018.